Who was Gef the Talking Mongoose? And what did he talk about? An early and largely sympathetic article which portrays the Irving family as subject to some rather unkind bullying from the local youth. At this stage Gef is known only as "The Spook of Dalby" and apparently hasn't yet started taking food from the family. He is portrayed as a purely flesh-and-blood creature, with Jim Irving rubbishing any suggestion of the supernatural. Another early article portraying Gef simply as a remarkable animal who "does not discuss the spirit world or give fearful warnings from beyond" but rather repeats gossip picked up from local road workers. Rather confusingly, Gef is referred to by Mrs Irving here as 'Jack', which raises the question of when exactly he chose his name. A rather tongue-in-cheek article portraying Gef in a more supernatural light than the two articles above. Bizarrely, Gef is described as having "a pigs head with great glowing eyes" and allegedly claims to have no stomach (a claim hard to reconcile with his later fondness for chocolate and sausages). A brief article referring rather obliquely to Captain McDonald's investigation. A relatively recent article sparked by researcher Christopher Josiffe's interest in re-examining the story of Gef. A rather over-dramatic account of Gef's antics. Two articles written by investigator Nandor Fodor for the Journal of the American Society for Psychical Research. The photo of Gef referred to by Fodor. 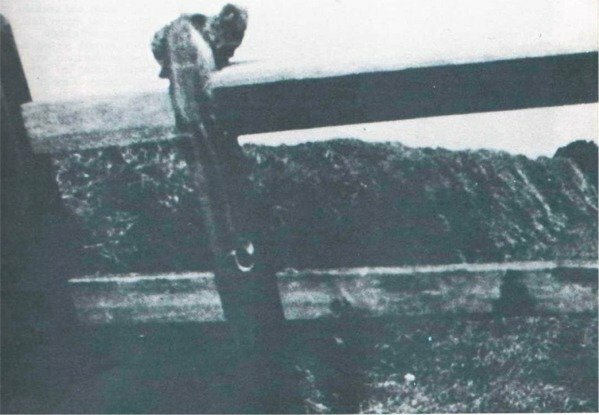 Written before Fodor's visit to Cashen's Gap and mainly concerned with a photograph allegedly showing Gef perched on a fence. By this stage, Gef has apparently killed 146 rabbits for the family. Having spent the week at Cashen's Gap without encountering Gef, Fodor is nevertheless convinced of his reality, though as a natural rather than supernatural phenomenon. Fodor also considers the comparison between Gef and the witches familiars of folklore. Article by Harold T Wilkins for the ever entertaining Fate Magazine. Co-founded by Pulp publishing legend Raymond A Palmer, Fate in the early 1950's was largely concerned with the new-fangled UFO mystery and rumours of ancient subterranean civilisations. Gef was the cover star of this issue! Christopher Josiffe has now written a book about Gef. I am a ghost in the form of a weasel, and I shall haunt you with weird noises and clanking chains!